Developed directly from the needs and feedback of machinery owners and brokers across the country, we’ve packed our platform full of valuable features that will help you sell more machines and improve the efficiency of your operations. Buy and Sell Used Machines. Measure your sales and marketing efforts. Get more eyes on your machines. Track and log machine maintenance records. Buying & selling has never been easier. Reinvent how you manage your business. Whether you're looking to revolutionize your sales process, manage your inventory, or simply sell machines--Machine Hub has the right tools to help you succeed. Seamlessly integrate your website, inbox, calendar, inventory, quotes, and prospects. Improve sales efficiency with simple, “one-click” quotes and listings. Simplify photo and video uploading from your mobile device. Visualize your data so you can monitor and report on your sales efforts. We had been using our previous inventory system for over 12 years to manage both customer information as well as inventory data. Although it was doing the basics, the guys at MachineHub wanted me to see what my IMS could really be doing for our company. I was really surprised at the features I was shown in MachineHub that I hadn’t even thought could be done. I had become so "comfortable" with what we were using that I didn’t think of all the things that our IMS SHOULD be doing for us. 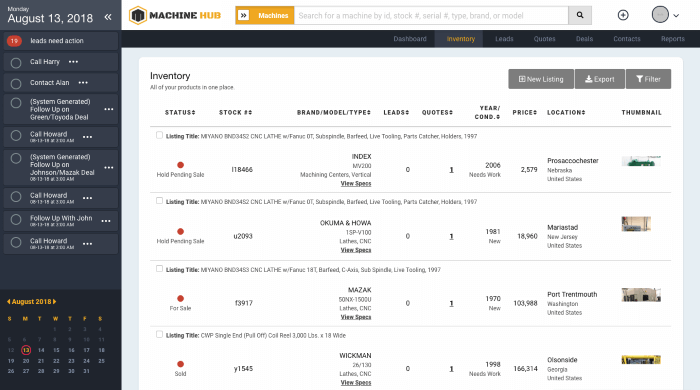 Developed directly from the needs and feedback of machinery owners and brokers across the country, Machine Hub’s Inventory Management System is the most intuitive and easy to use system available. Getting eyeballs on your machines and generating quality leads has never been easier. With Machine Hub’s integrated marketplace, as soon as you enter a machine into your inventory pushing it to market is one click away. Is synced in real time with with your Machine Hub IMS. Automatically pulls in your listing from other popular listing networks. Is optimized for greater visibility across all major search engines. Is searchable down to the the spec. 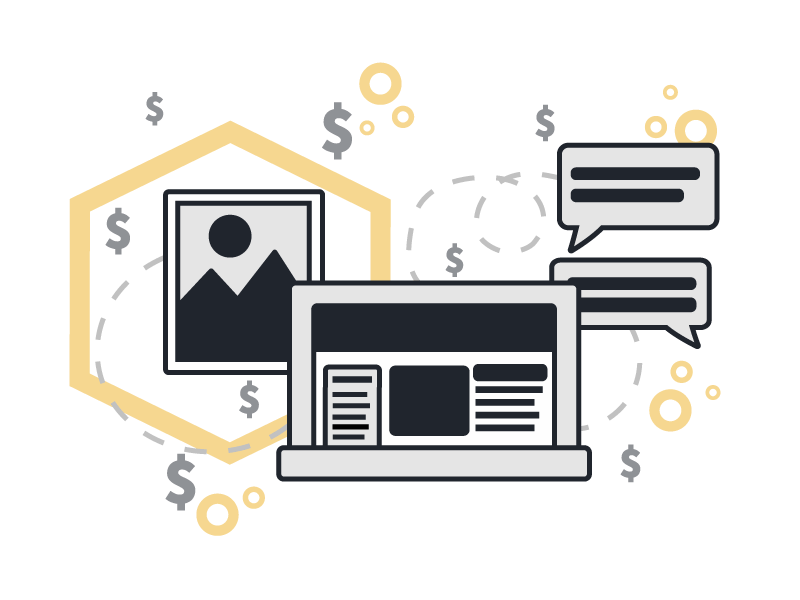 Provides you with the lowest cost per lead of any platform. Building relationships and selling is hard enough. A CRM should free up your time and help you sell more. The last thing you need is another tech-driven headache. 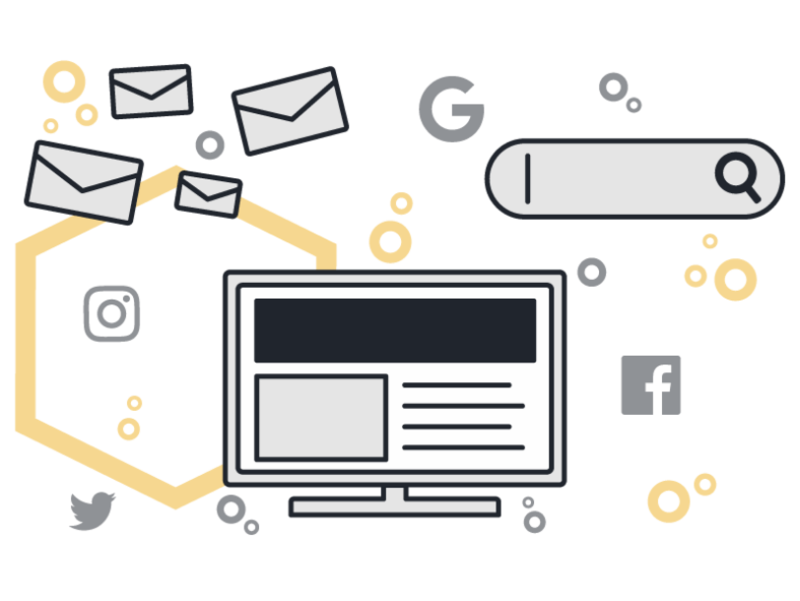 We fully understand the machine sales process and built the Machine Hub CRM to make quoting and managing your leads a breeze. Allows you to track, qualify, communicate, analyze and filter your leads throughout the sales process in one place. Reduces manual input by automatically adding your leads into the system. Improves followup with reminder notifications. Send quotes to contacts and prospects. Lets you respond to RFQ’s and track the quote to final sale. Integrates seamlessly with your email and calendar. Knowledge is power; improve the power of your sales force with Machine Hub’s advanced analytics. 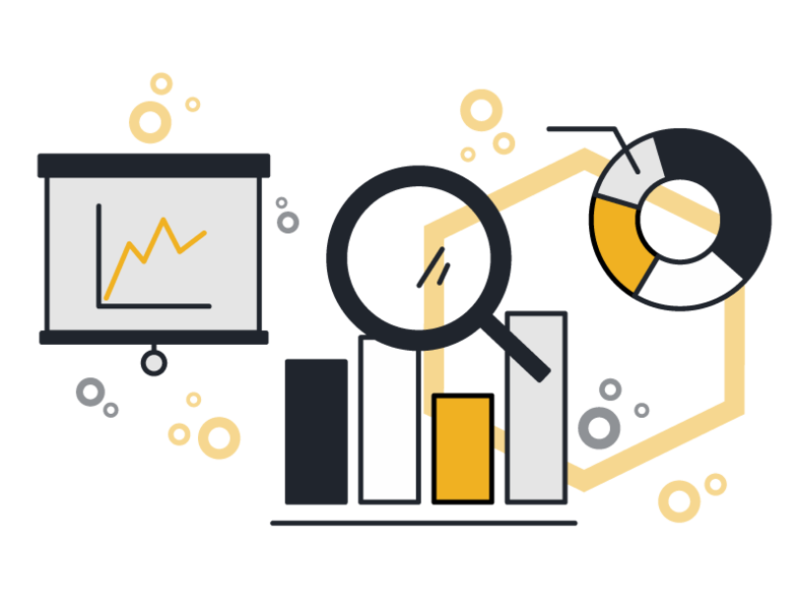 With Machine Hub, your sales team and managers will be able to measure and analyze your efforts and make adjustments where necessary. Never sell in the dark again. Manage the effectiveness of each member of your sales team. Determine the the best lead sources so you know where to allocate your time and dollars. Generate intelligent business reports on revenue, conversions, machines sold, quotes and email sent, phone calls, deals, etc. Converting consumer interest into qualified leads is a time consuming undertaking that requires the finesse and skillset of a marketing team. We understand that you have limited resources and hours in a day. That's why we are dedicated to upgrading Machine Hub and our client service offerings to put more effective marketing power in your hands. Continually develop of our tool to give you advanced features like email, integrated marketing analytics, etc. 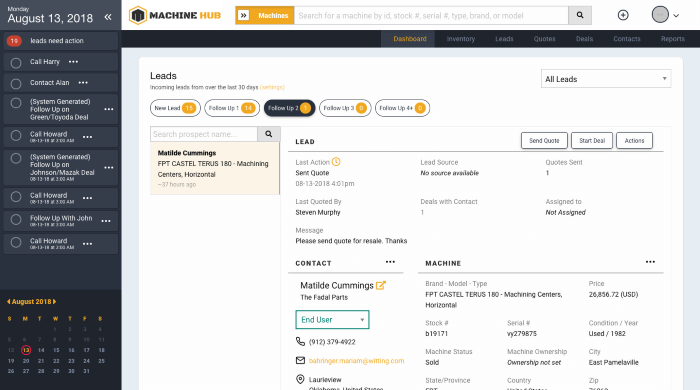 If you’re ready to take your sales team and business to the next level, we encourage you to give Machine Hub a try. Schedule a zero-hassle demo with us we’ll give you a 30-day free trial so you can experience incredible efficiency on the hub.